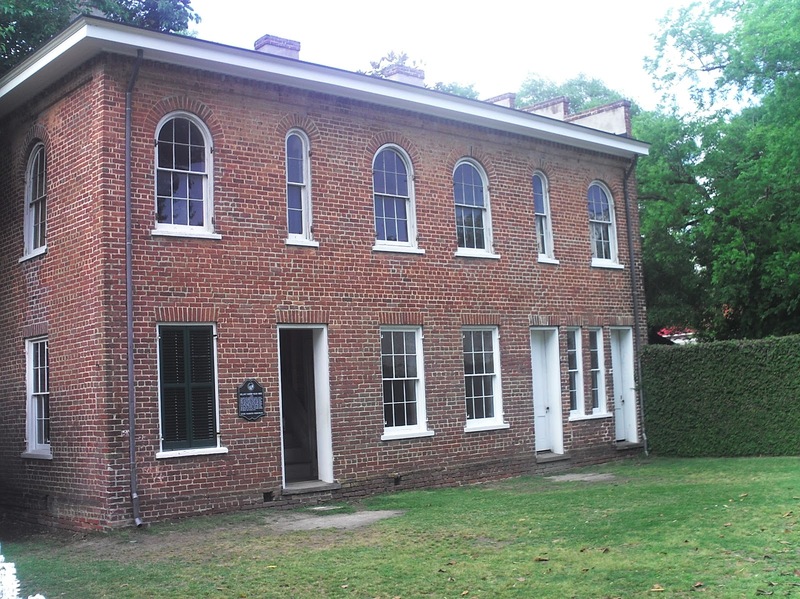 "The slave quarters at Bellamy Plantation are definitely more upscale that most slave dwellings. Joe, we are happy to see this project extend to NC, and look forward to your next update. 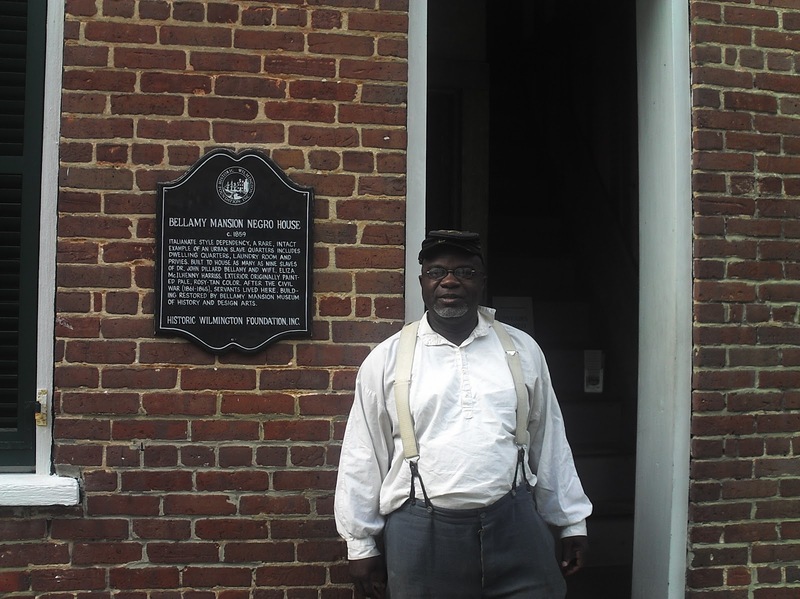 As The Slave Dwelling Project draws attention to the place were our ancestors lived during slavery, it reminds us of our quest to discover more about our progenitors and the need to preserve our collective histories. 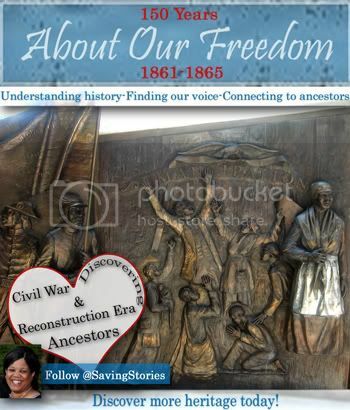 As we discover and share what we learn about our ancestors, we are telling the collective history of the community. Your history is my history. 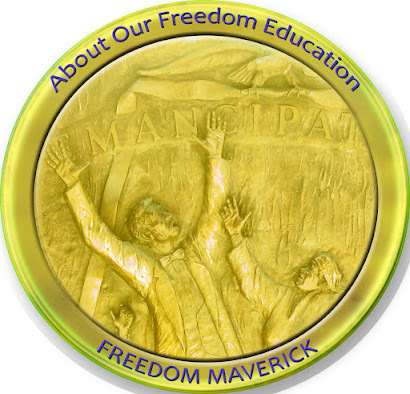 Hopefully, we can recapture the history not contained in the history books." 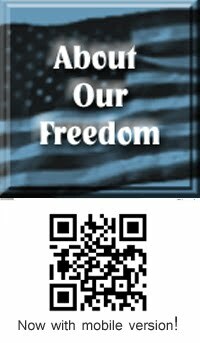 Robin Foster, About Our Freedom. Join a FamilySearch Facebook Research Community. 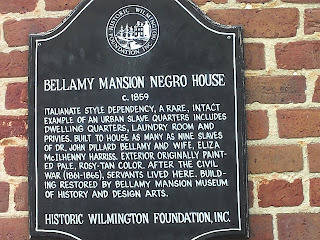 Sunday, May 15 found me spending the night at Bellamy Mansion in Wilmington, NC. I arrived there around 4:45 pm which was good because the young lady working there did not have prior knowledge of my arrival. This was very important because she was now aware that she should not turn on the alarm in the slave dwelling. 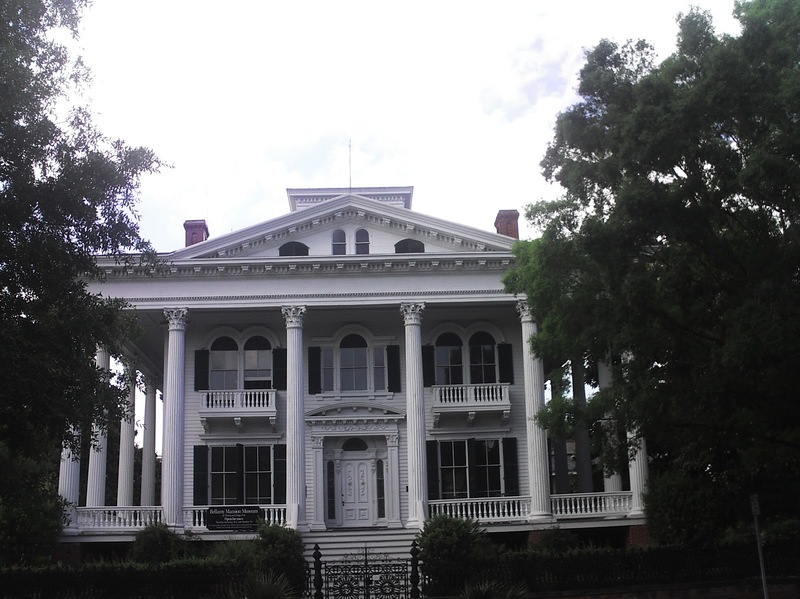 The context of the house reminded me a lot of the Aiken Rhett House in Charleston, SC. One could easily be enamored by the architectural significance of the house and totally ignore the slavery that was associated with the structure if the former slave dwelling was not still located in back and interpreted. The dwelling was two stories, made of brick, two bed rooms up top; downstairs contained a bedroom, kitchen and privy. When I got settled into the slave dwelling, I took a leisurely stroll to the Wilmington waterfront. I was amazed by its beauty and the vibrancy of the city. There were a wealth of activities happening. I had an abundance of restaurants from which to choose. I finally decided on one that would allow me to sit outside and enjoy the nice weather and people watch as I ate my meal. When I returned to the dwelling, I turned on my computer and was amazed to discover that I had wifi capability. This capability gave me the opportunity to get caught up on blogging about some of the past stays that I had done. I was later joined by Terry James, this would be his fifth stay. Terry and I were later joined by Braxton Williams, the Bellamy Mansion employee who helped to arrange my stay. Braxton gave us an overview of the history of the mansion. 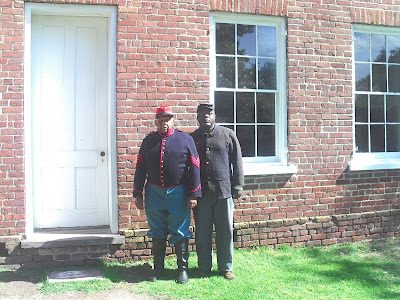 He then mentioned that there was an African American Civil War reenactor in the area named Fred (Sweet Corn) Johnson. Of course Terry and I both knew Sweet Corn so Terry gave him a call. Fred "Sweet Corn" Johnson and Joseph McGill, Jr. He came to the dwelling in less than 20 minutes. When Braxton left, Fred, Terry and I walked back to the restaurant where I had eaten earlier for a late night shack. No matter how hard Terry and I tried, we could not convince Sweet Corn to spend the night in the slave dwelling with us. He did agree to treat us to breakfast the following morning. Terry and I got back to the dwelling around 11:30 pm. Our conversation did not last very long before both of us went to sleep. Terry slept in the slave shackles again for the third consecutive time. Because of the urban setting, I was awakened throughout the night by the fire, police and emergency sirens. The next morning Sweet Corn treated us to breakfast as he promised. Terry and I then did a live interview for a local radio station. Terry then had to go back to his hometown of Florence. I was obligated to stay to give a lecture on the Slave Dwelling Project later that day. 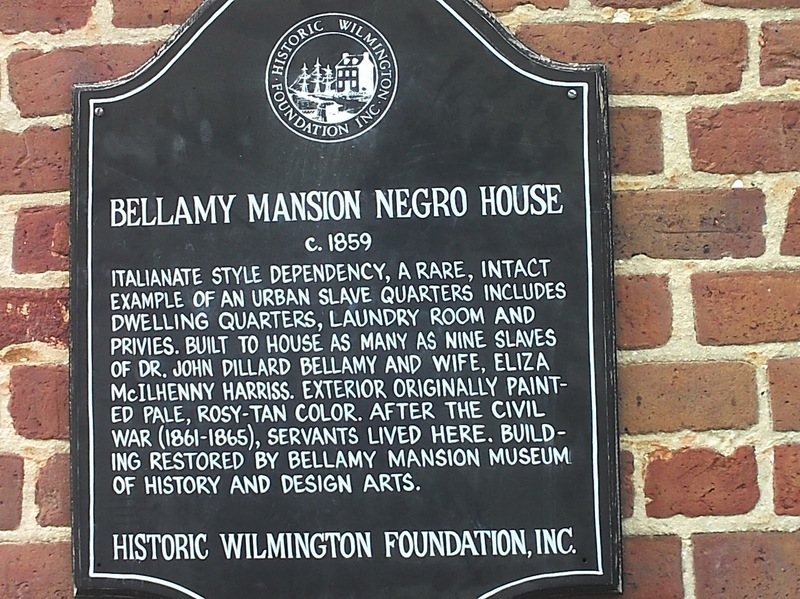 The lecture was given in the parlor of the Bellamy Mansion to a standing room only crowd. I went away from that experience knowing that I have to extend the Slave Dwelling Project deep into the heart of the state of North Carolina. The network established at Bellamy will help me achieve that goal. Stay tuned for more North Carolina slave dwelling stays in the year 2012 and beyond.